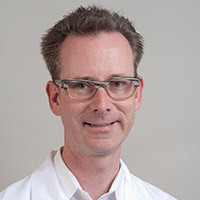 Dr. Heinzerling is an Associate Professor in Residence in the UCLA Department of Family Medicine and the MedicalDirector of the UCLA Center for Behavioral and Addiction Medicine. Dr. Heinzerling treats patients at the Santa Monica clinic location for a variety of addictions including problems with opioids (heroin, prescription pain medications, and patients with addiction and chronic pain), alcohol, marijuana, methamphetamine, and cocaine. He is certified to prescribe buprenorphine/naloxone (Suboxone®) and is experienced in the use of the monthly depot naltrexone injection (Vivitrol®). Dr. Heinzerling’s research is focused on the development and dissemination of new anti-addiction medications. Dr. Heinzerling is a nationally recognized expert in Addiction Medicine with numerous research papers, presentations, and trainees to his credit. Dr. Heinzerling is a graduate of Stanford University School of Medicine and the Internal Medicine/Primary Care program at NYU/Bellevue Hospital where he was a Chief Resident. Bluthenthal RN, Heinzerling KG, Martinez A, Kral AH. Police Crackdowns, Societal Cost, and the Need for Alternative Approaches. International Journal of Drug Policy, Volume 16, Issue 3, pages 137-138, June 2005. Heinzerling KG, Kral AH, Flynn NM, Anderson RL, Scott A, Gilbert ML, Asch SM, Bluthenthal RN. Unmet Need for Recommended Preventive Health Services Among Clients of California Syringe Exchange Programs: Implications for Quality Improvement. Drug and Alcohol Dependence, Volume 81, Number 2, pages 167-178, February 1, 2006. Heinzerling KG, Etzioni DA, Hurley B, Holtom P, Bluthenthal RN, Asch SM. Hospital Utilization for Injection Drug Use-Related Soft Tissue Infections in Urban Versus Rural Counties in California. Journal of Urban Health, Volume 83, Number 2, pages 176-181, March 2006. Heinzerling KG, Shoptaw S, Peck JA, Yang X, Liu J, Ling W. Randomized, Placebo-Controlled Trial of Baclofen and Gabapentin for the Treatment of Methamphetamine Dependence. Drug and Alcohol Dependence, Volume 85, Number 3, pages 177-184, December 1, 2006. Heinzerling KG, Kral AH, Flynn NM, Anderson RL, Scott A, Gilbert ML, Asch SM, Bluthenthal RN. HIV and Hepatitis C Testing at Syringe Exchange Programs: Availability and Outcomes, Journal of Substance Abuse Treatment, Volume 32, Number 4, pages 423-429, June 2007. Bluthenthal RN, Heinzerling KG, Gilbert ML, Anderson R, Flynn NM, Scott A, Kral AH. Legalization of syringe exchange programs in California: Mixed results from a local approach to HIV prevention. American Journal of Public Health, Electronic Publication, May 30, 2007. Shoptaw S, Heinzerling KG, Rotheram-Fuller E, Kao UH, Wang PC, Bholat M, Ling W. Bupropion Hydrochloride Versus Placebo, in Combination with Cognitive Behavioral Therapy, for the Treatment of Cocaine Abuse/Dependence, Journal of Addictive Diseases, in press.